The BBQ season in Germany started already (another reason to be happy!). Here is very easy recipe for polish style shashlik. This is something what my family in Poland always grilled as some kind of variety to polish sausage. Let me introduce to you the taste of my polish childhood! How you prepare a polish style shashlik? 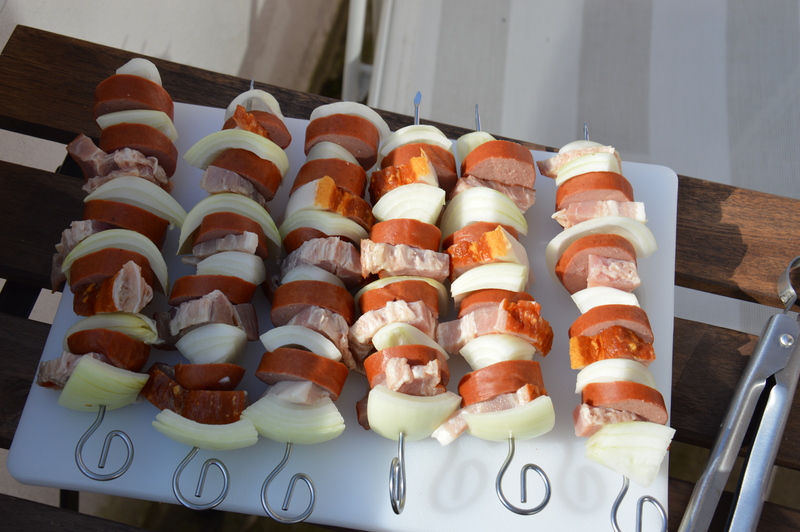 You just need to slice the sausage and smoked bacon (approx 1cm wide), cut onions into wedges and skewer all together (see picture below). Grill it over medium heat and enjoy it with you favorite BBQ sauce.